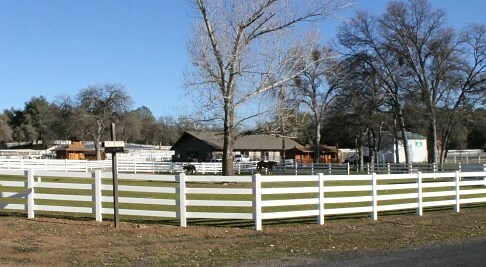 Eden is a premier family-owned equestrian facility located in Fresno County. We offer lessons, training, and sport horse sales as well as clinics and other equestrian events. Eden's facilities include a covered full dressage court, a 400' jump arena and a few xcountry jumps and fitness track. Full service equestrian center. Training from beginner ages 4 and up to advanced competive riders. Lessons english and western available. Specializing in quality horses for sale to suit all types of riders. Fox Farms LLC - Horse Board and Training facility, 8 miles from UC Davis. Pheasant Ridge is a small boarding facility located in Vacaville. Our facilities include a covered and outdoor arena, both with sand/rubber footing. Stalls with individual paddocks/pastures.